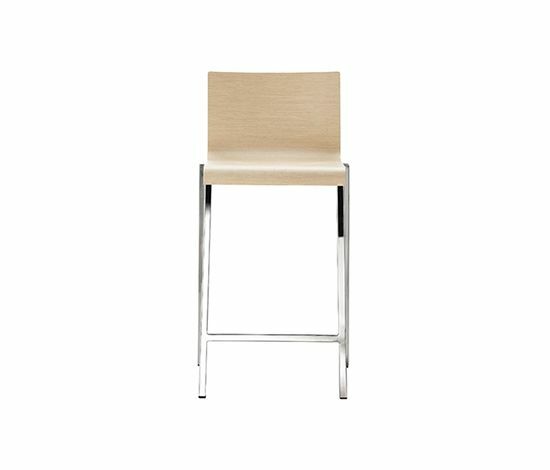 Kuadra barstool, bleached oak multilayer veneered shell. Satinized square steel tube frame 20x20 mm. Height 650 mm.